Home of the Sovereign Protectors • View topic - Lightweight Helmet? 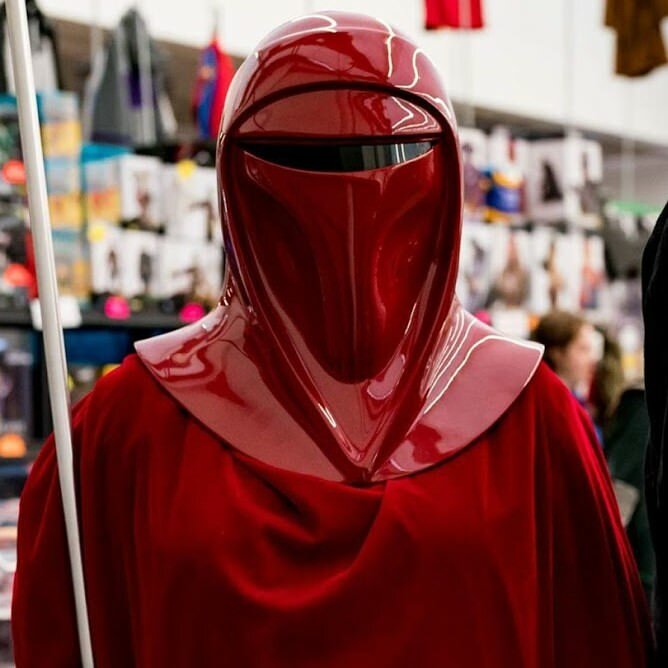 I am currently approved with the Rubies bucket, but the weight makes it so I am very sore after trooping. What are the best options out there for a lighter-weight helmet that still has the room of the Rubies? I am in the USA, so would prefer shipping didn't cost as much as the bucket. Post subject: Re: Lightweight Helmet? You might have some luck with the helmet from Lukannon Armoury as they are just slightly smaller than the Rubies. Outside of that, not sure what else is out there that would be a lot lighter. It's the one drawback to the guard with the weight of not only the robes but also the bucket all sitting on your shoulders and neck. I have to disagree with that. I have his bucket and I'm super happy with it, but it is NOT light. My Garrison mates are always surprised when they pick it up.